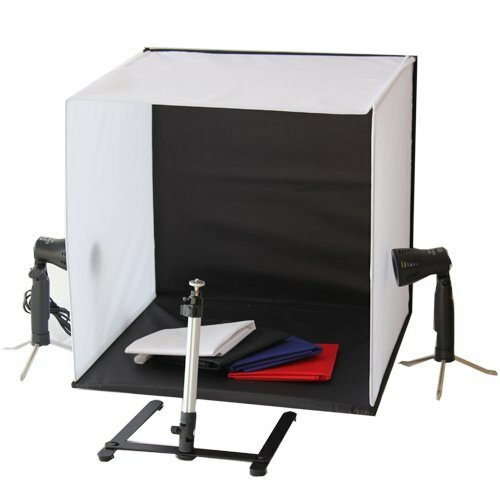 This is a complete photo studio kit which folds away into a neat carry case. 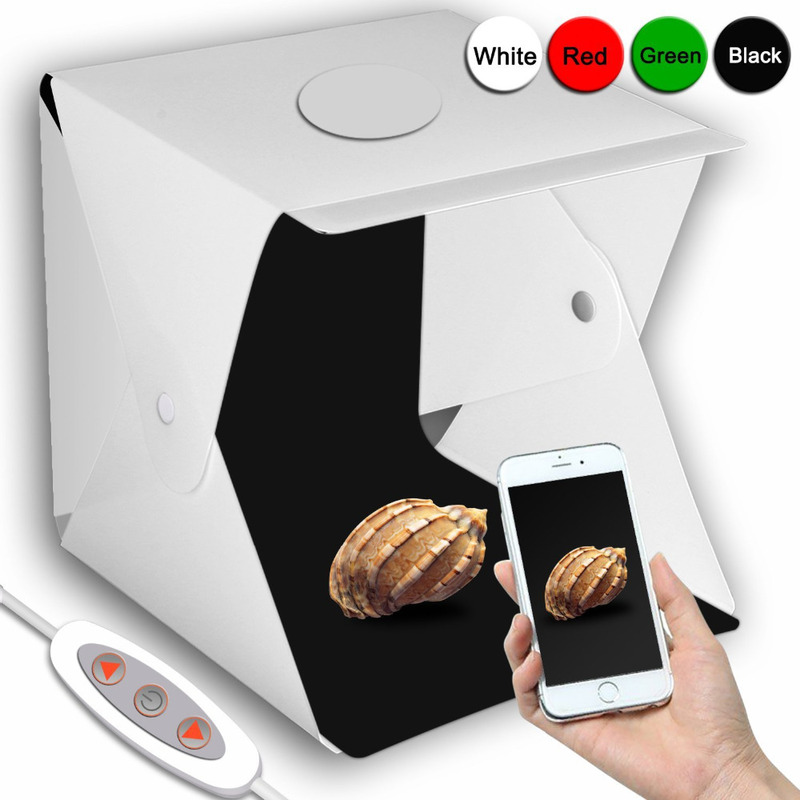 100% pure white nylon fabric and stainless steel frame photographic light tent. It is an excellent product for photographing all those small items in great detail. Ideal for photographing anything which fits within the confines of the studio (50x50x50cm). 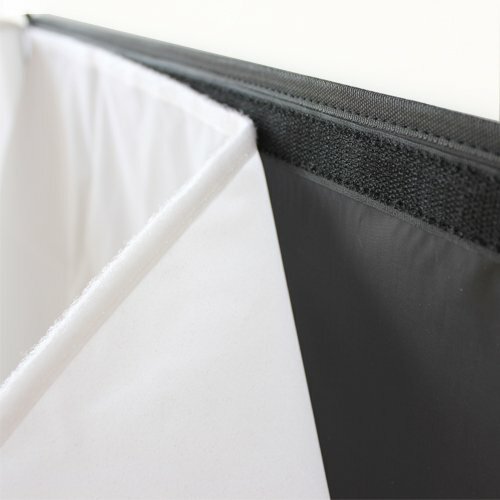 It can be quickly setup to form a complete square studio box, as it has tight fitting Velcro edges. In addition, it offer four colors backdrops to give different background colors for your photos. Camera tripod stands-Fully adjustable, aluminum and steel. Large legs with skid reduction pads keep stand firmly in place. 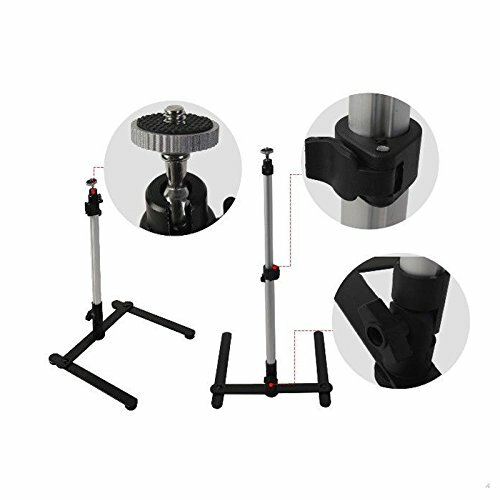 The camera tripod\'s adjustable height ranges from approx. 25cm with extension up to 45cm. 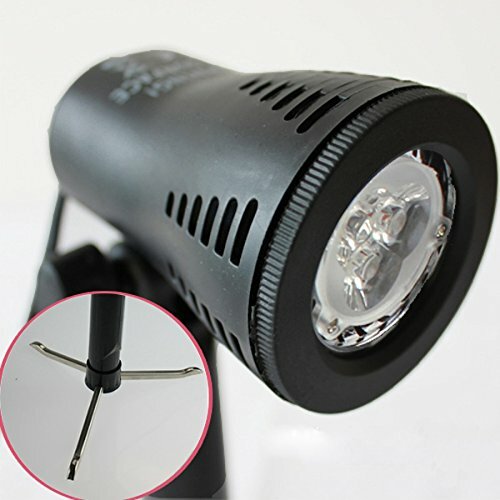 Two LED Lights with fold away stands-UK Specification, 240v GU10 2800K LED lamps. They\'ve upgraded to LED light bulbs instead of halogen lamps, they won\'t be overheat easily. Also you can adjust the light angle with the spin button.